In 2018, medical practices saw significant developments, from the growth of outsourcing to the emerging popularity of predictive analytics tools, which promise to transform revenue cycle management. While many of these developments had a largely positive impact, the need for better RCM solutions continues. Challenges such as managing the high cost of healthcare, finding and maintaining qualified staff to handle billing and claims, or even keeping up with legislation will prove more cumbersome in the coming year. With that in mind, here is a glimpse at five important RCM trends that will shape 2019, and how medical groups should respond to them. Advances in analytics technology have made it possible to have significant insight into the revenue cycle. For example, we can now predict the likelihood of a patient paying a bill on a particular day if we send an email at a pre-determined time. Or, it can predict that next month you will have slower reimbursements based on past trends, so you can be prepared ahead of time. We also can rely on analytics to determine optimal RCM workflow, which can help staff prioritize which claims to focus on that will generate the best return and in what order. Medical groups that haven’t yet tapped into the powers of analytics would do well to explore some of these emerging capabilities. Technology that offers more granular insights into patient behaviors and payer trends can make our practices more efficient and improve productivity. It’s no secret that insurers are seeking new ways to trim expenses — and did so throughout 2018 — for example, by redesigning health plans and trimming down provider networks. We can expect this trend to continue and have a bigger impact on medical groups in 2019. As such, providers must stay alert, carefully reviewing their contracts to make sure they understand any changes. To offset any negative changes, providers may want to consider leveraging applications that will help them recoup higher reimbursement, automate workflow processes and keep avoidable write-offs to a minimum. Additionally, understanding your payer mix and reviewing and renegotiating your payer contracts on an annual basis can help you maximize reimbursement. Medical practices need capable, experienced staff to handle a wide variety of coding, billing and claims management. However, in 2018 we saw that many practices were challenged to find and retain quality staff due to the high rate of turnover for billing personnel and the low unemployment rate. Given this reality, outsourcing RCM through a third-party vendor will make financial sense for a growing number of providers keeping their cost to collect minimized. Practices are finding that outsourcing saves time and money rather than spending hours on HR issues and training and managing in-house staff – not to mention overhead costs. This is especially true for small, independent and/or rural practices which are finding themselves being forced to select from a decreasing pool of talent or sell their practices to a hospital or health system. For practices determined to keep billing in-house, we’ve seen a rising trend toward the use of automated workflows to manage and priorities the types of claims each biller is working and when. When you must hire less experienced staff, having a pre-defined workflow for them each day becomes imperative to sustaining revenue at your practice and makes proactively managing your revenue cycle much simpler. As high-deductible health plans (HDHPs) grow, more patients are struggling to pay medical bills – and not just four-figure (or five-figure) hospital bills, but even those that are $500 or less. For this reason, many primary-care and specialty practices, such as elective surgery centers, which are accustomed to timely payments, aren’t seeing the same steady cashflow they’ve counted on in years past. In fact, in 2018, we saw a spike in the number of patients waiting until the end of the year to schedule procedures such as elective surgeries so they could try to meet their deductibles first. We can avoid this problem, or at least alleviate it a bit, by helping patients secure the financial assistance they need when they need it – ahead of an elective procedure. While traditional financing plans lean heavily toward the back end, helping patients pay off medical debt post-procedure, some of the newer financing options enable patients to pay for treatments on their own timetable. Additionally, some of these plans also will pay the provider for the procedure up front removing the risk of collecting that receivable after the service is rendered. By offering simple financing options for patients, practices can maintain cashflow and keep patient satisfaction high. As we know, one big byproduct of skyrocketing medical costs is the rise of consumerism in healthcare. Today’s patient is more likely to be technologically savvy, and seeking an optimal healthcare experience (incidentally, this trend is tied to the rise of cash-pay and concierge medicine). For patients in 2019, the mere existence of a surprise medical bill will soon be a relic of the past — or a sign of an out-of-touch provider — as consumer demand for transparency grows. Medical practices that build their communications around this reality will thrive. 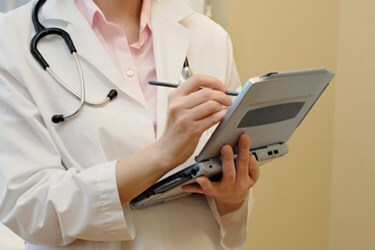 The bottom line: Physician practices should be clear about costs and make it convenient for patients to schedule care (e.g., through self-service scheduling applications or patient portals), receive care (through high-quality providers) and pay for care (through convenient billing and payment options). As medical groups enter 2019, providing quality care is still the highest priority. But given these RCM trends, it’s important to seek opportunities and technologies that will improve the patient experience, streamline operations and keep cashflow steady. Medical practices that can tailor their RCM practices to the ever-changing healthcare landscape will fare better not only in 2019 but indefinitely. Matt Seefeld is the Executive Vice President of MedEvolve, a provider of analytics, practice management and revenue cycle solutions for medical practices. A big advocate for business intelligence and workflow automation, he regularly works with physician practices to help them optimize productivity, operations and financial performance by analyzing KPIs and metrics and implementing process improvements.